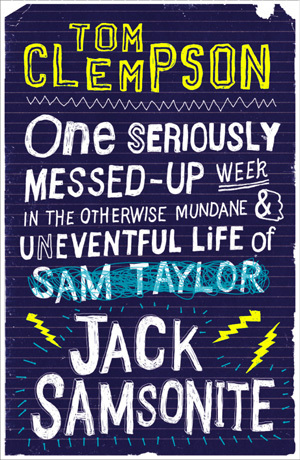 Tom Clempson » The Big Blog Giveaway! The giveaway home, for this week, is right here at my blog. 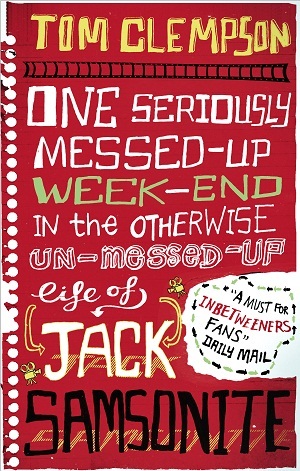 Only 2 weeks to go until publication day! The excitement is building up and so is the work. But even though I have now seen BOXES filled with my books, it still doesn’t quite feel real. For so long my goal in writing was to write something that at least one person would want to read and would enjoy, and, somehow, I’ve already gotten there. I’ve signed the contract, read the reviews, seen the finished books, answered the interview questions, seen it available to buy on all the major bookshops websites, but still something in my head has not clicked to allow me to comprehend that I am being published. I’m calm about it all because none of it has actually sunk in. I don’t feel any different inside. I’m still just me, writing at every opportunity, dreaming of a better future. I think there’s some kind of self-defensive force-field mechanism that has automatically been deployed around my head. I never expect amazing things to happen to me, and if something seems too good to be true, then it usually is. So, this, to me, obviously counts as AMAZING, but I’m still waiting for the catch. I’m not allowing myself to get too emotionally involved, because I’m too afraid of getting completely crushed if it all goes wrong. (I’m pretty sure I would make a really good case study for some Psychology students). The only thing is, so far, nothing has gone wrong. It’s only getting better. Which is absolutely scaring the crap out of me! I am aware of how insanely negative this sounds and, believe me, I am one of the most optomisitc people you are ever likely to meet! But I just can’t help it! I cannot shake that feeling of the higher I climb, the further I have to fall. So, for now, I am focussing on my original goal – that one person. And each time I read about another one person that has read and enjoyed my book, that’s where I get my excitement. That’s when I fill up inside, like I’m about to burst with positivity. And I don’t suppose any kind of downfall can ever take that away. So, getting back to the giveaway. It’s open for 1 week. To enter just comment on any new post on my blog this week. I’ll attempt to make that easier by trying to do one post a day for the rest of the week (but I’m not making any promises). The giveaway closes on Wednesday 25th May and a winner will be drawn at random. Win yourself a book and maybe you’ll be another one person (or maybe you’ll be my downfall)! Well done Tom, this really is amazing and I really want to read the book! Fingers crossed jumping in early will mean luck is on my side. Of course if I fail I can always head for amazon. Either way I am looking forward to my upcoming evening with a cuppa and this very intriguing read. However I will be choosing my beverage with care as I have a vibe that at some point I will be milk out of your nose chortling. Thats just the way I roll you know. Ok Tom, I’m intrigued to say the least… Signing up for your giveaway (If it’s open for non-UK residents). Funny ain’t my middle name but i bet it’s yours!